Thomas Dickhans, development leader for product development in Research and Development at Hormel Foods, was recently awarded the Research Chefs Association’s (RCA) Pioneer Award. The Pioneer Award is presented annually to an individual who has become recognized as a leader in the food industry utilizing the practice of combining culinary craftsmanship and food science for at least 10 years. Additionally, the nominee’s influence must be apparent throughout the food industry, including in education and standard practices. Dickhans, who will celebrate 30 years with the company in August, was presented the award last month at RCA’s annual conference in Savannah, Georgia. 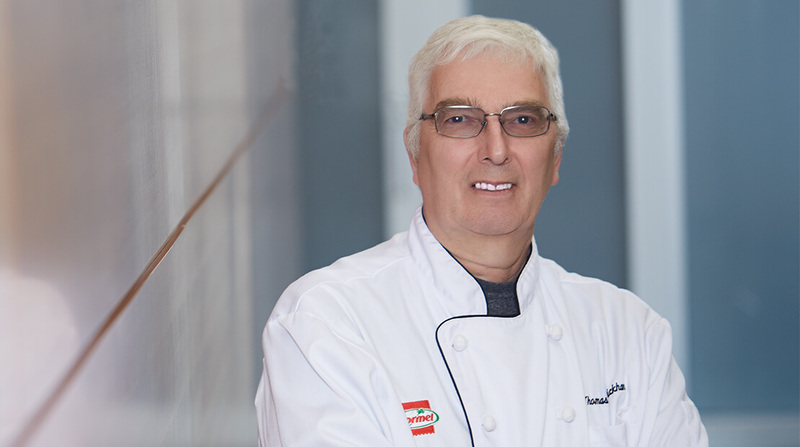 Throughout his career, Thomas has been involved in a wide variety of Grocery Products and Foodservice new product and quality improvement initiatives, including his work developing Hormel® Fire Braised® meats, which he was granted a patent for his work on. RCA was founded in 1996 by a group of research chefs dedicated to overcoming challenges facing the food product development professional. Today, RCA is the premier source of culinary and technical information for the food industry, with a professionally diverse membership including chefs, food scientists and other industry professionals who are shaping the future of food research and development.